All wine grapes grown in the US have old world origins or at least old world ancestors if it is a newly created Varietal like Pinotage. Usually the origins of the grapes are quite clear – Bordeaux for Cabernet Sauvignon, Burgundy for Pinot Noir and Chardonnay, Tuscany for Sangiovese etc.. If the Winery mainly produces wines from a specific region within a Country, we've designated it in this field. 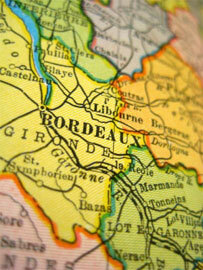 Up until the 1980's it was more common to see a winemaker specialize in one or two region's products. With the explosion of the US wine market and the willingness of many winemakers and vineyard masters to venture outside the traditionally produced Varietals it's becoming much less common to see a Winery specialize in just one region. For many of the Wineries, there answer is "none" because they make wines from various regions of France, Italy and even Portugal or a little Zinfandel whose origins likely lie in modern day Croatia. A Winery doesn't have to only produce wines from this region but a majority of their wines need to have origins from this region to qualify. There are a number of possible entries for this field. In the Western US where the Wine industry is most mature, if a Winery focuses on a single region it will most likely be one of the French areas. Italian, Spanish and Portuguese producers tend to venture more widely across their Country of interest, not staying within a specific region (like Tuscany in Italy or Rioja in Spain). To find any member Wineries that specialize in making wines from a specific Region, click below to visit our Winery Database and filter on the “Region of Focus” field name to find Winery Tasting Rooms.